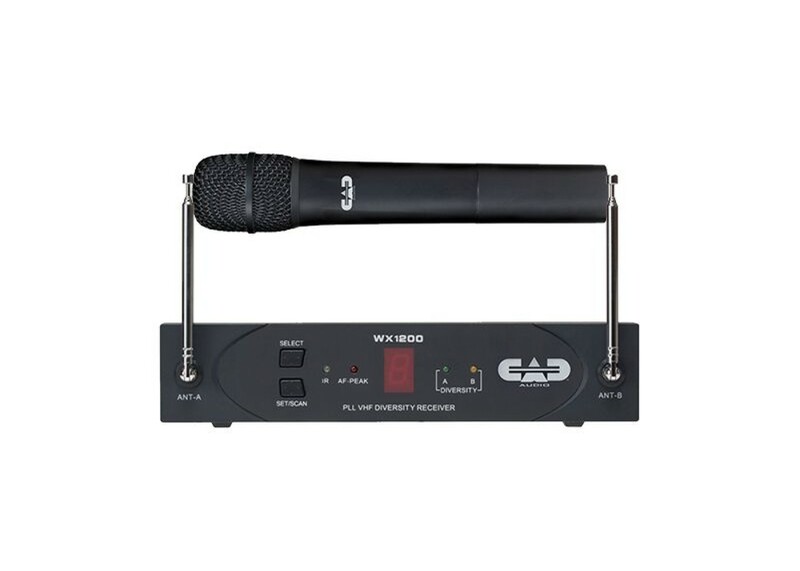 The StagePass WX1200 VHF Wireless Handheld System by CAD Audio is a VHF wireless system that includes a dynamic cardioid handheld microphone transmitter and a VHF diversity receiver. 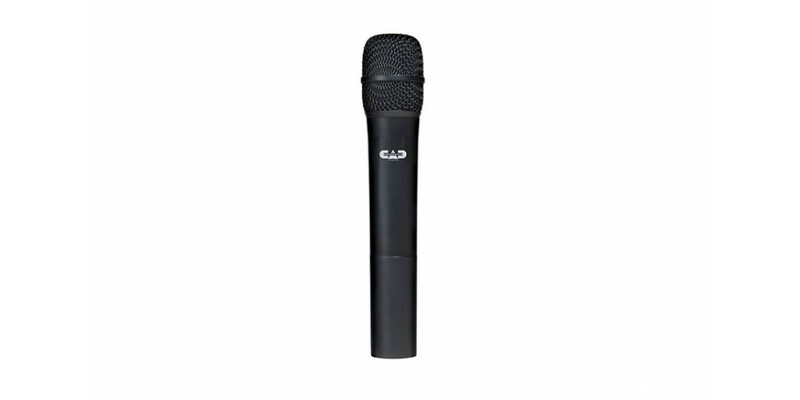 Built to accurately reproduce live vocals, the handheld transmitter doubles as a dynamic cardioid microphone that includes soft touch on and mute switches with LED indicators. 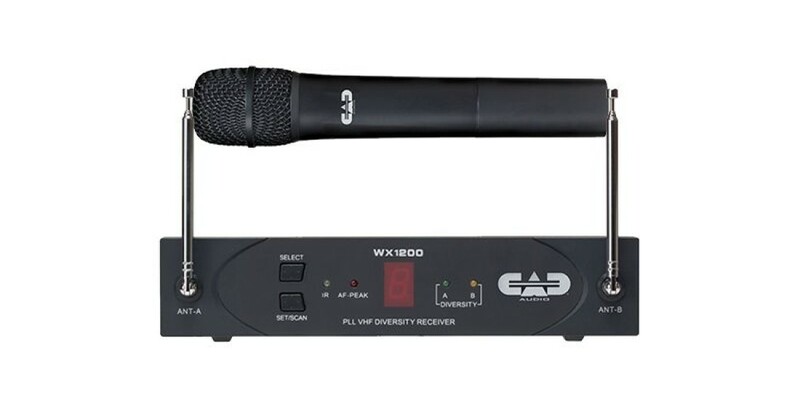 In addition to being designed for great sound, the StagePass WX1200 system also offers flexibility with 16 selectable VHF channels, and up to 7 WX1200 systems can be used together at once. 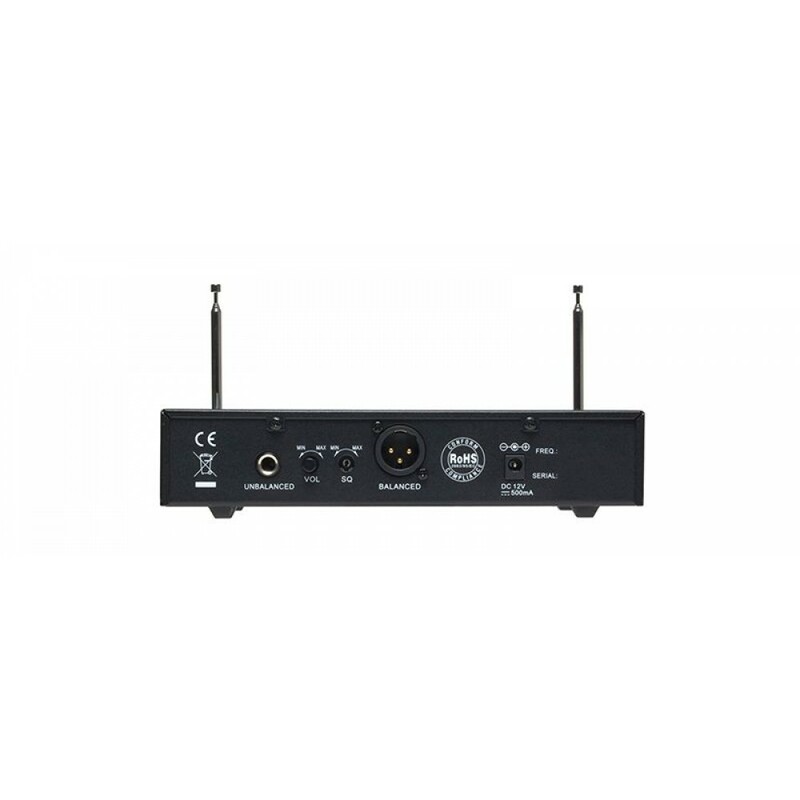 Flexible in terms of connectivity as well as channelization, the receiver features 1/4 inch and XLR outputs. 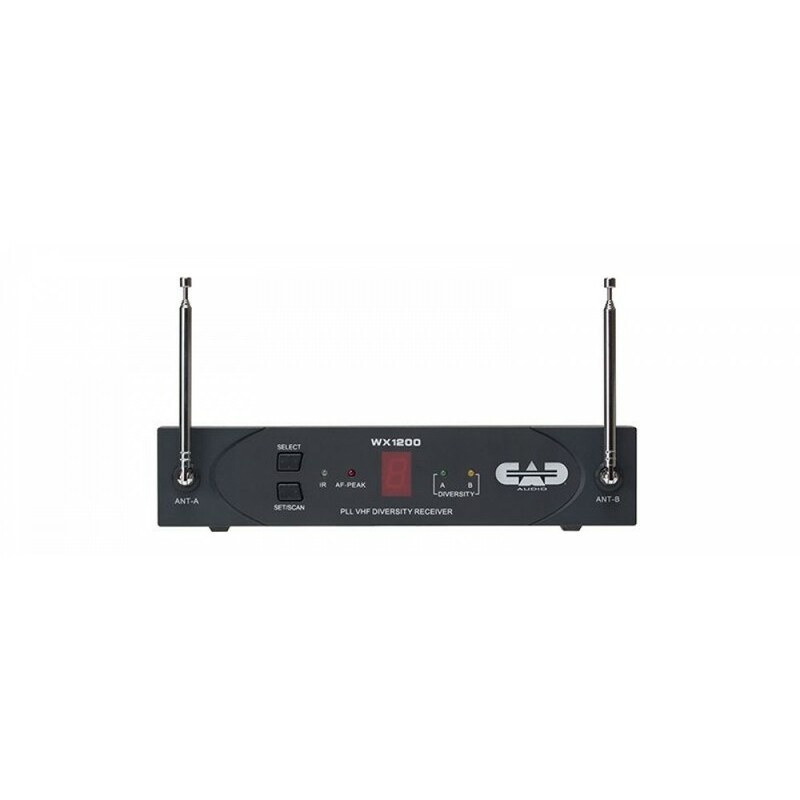 It also incorporates dual antennas using diversity operation to minimize multipath interference. 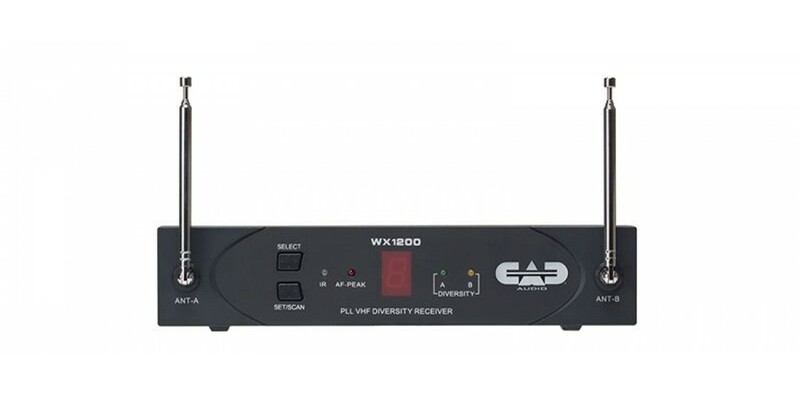 The "Scan-Link" auto channel configuration feature is another built-in convenience that conducts an environmental frequency evaluation then selects the strongest channel. 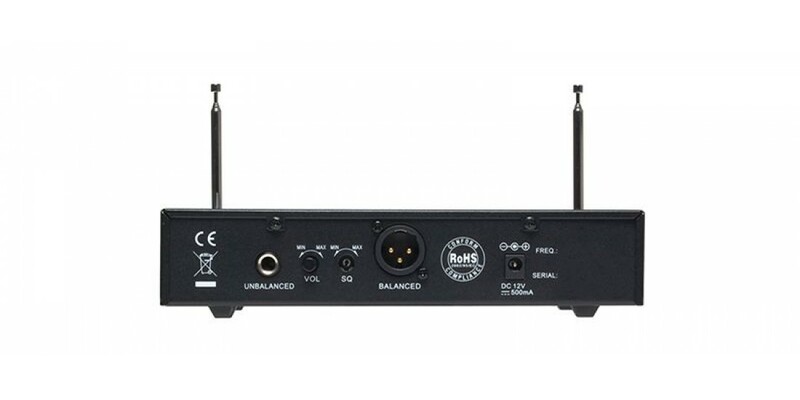 The receiver then links to the transmitter and sets the transmit frequency automatically. Dimensions (W x D x H) 9.5 x 4.5 x 1.5"
Dimensions (Diam. 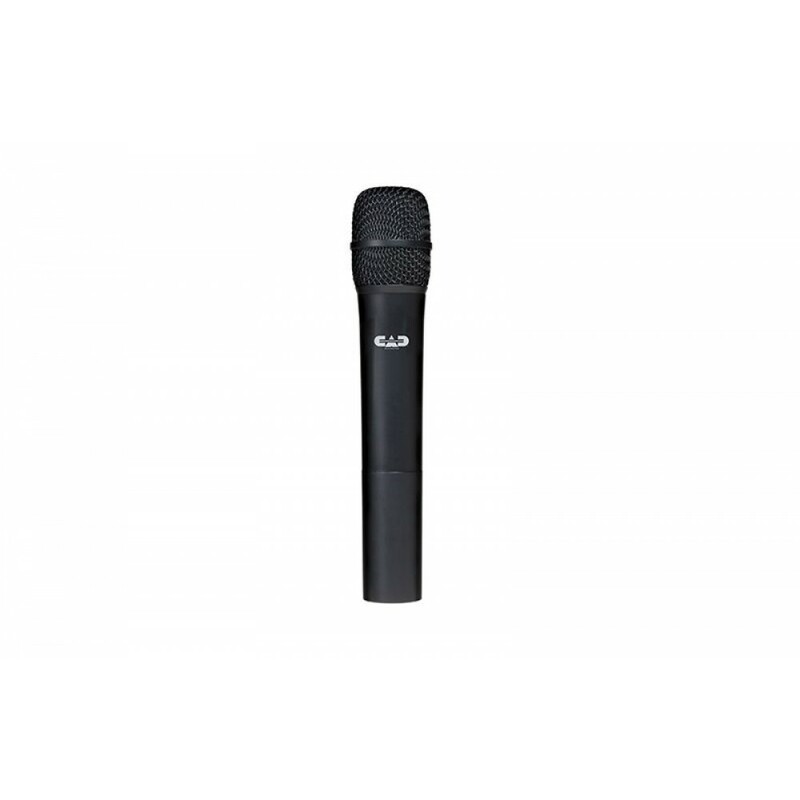 x L) 1.9 x 9.5"